Designed by London-based designer Joanna Plant for model and actress Poppy Delevingne, this master bathroom is amazing in so many ways! 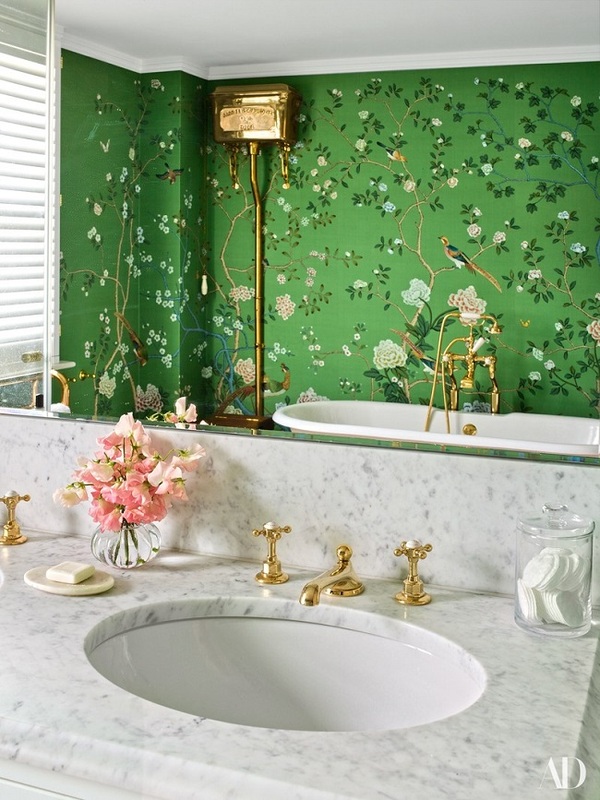 The focal point in this bathroom is definitely the beautiful hand-painted silk wall covering by De Gournay. It's classic, calming and visually interesting, a truly wonderful addition to the space. 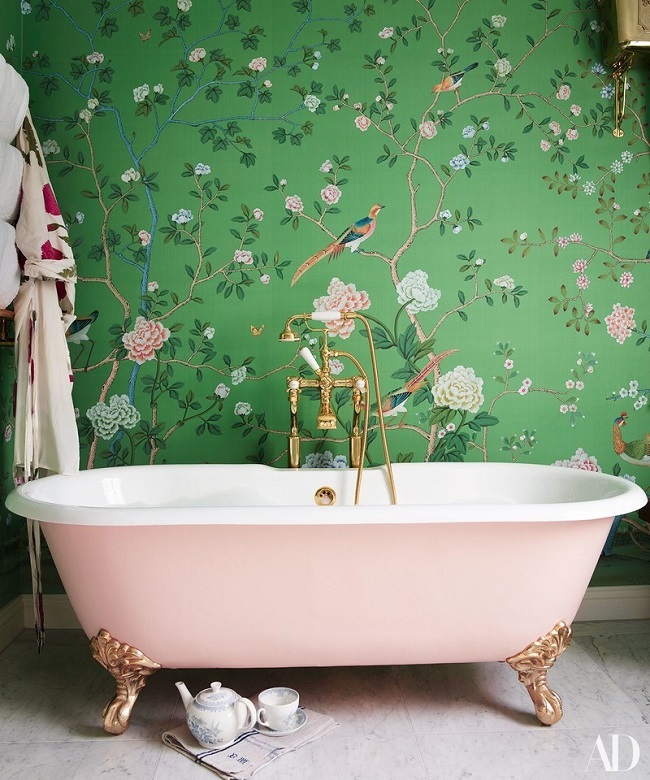 The pretty, soft pink bathtub is the icing on the cake and complement the lovely wallpaper perfectly. Meanwhile, the gold fixtures provide a sense of elegance, luxury and timeless glamour to the space. Chic, gorgeous and effortlessly luxurious, this swoon-worthy bathroom will always be one of my favorites! Are you drawn to this fabulous bathroom as much as I do? Your thoughts?